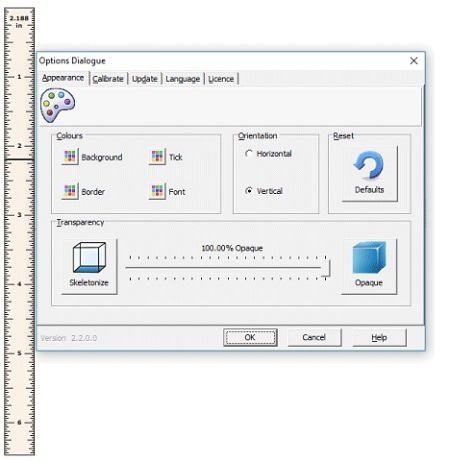 On Screen Ruler is a free portable measuring tool created by John Kummailil. It was initially created simply to teach kids about computers and software development. However, after being released with shortcuts, the software quickly grew to become a convenient, easy to use, and quite popular actual size on screen measuring ruler. One key feature of this freeware is manual calibration which can help ensure measurement efficiency due to varying screen resolutions. Additionally, cm and inch measurements are supported. Last but not least, this on screen measurement software is available in a completely portable version, requiring no installation to a PC.